The legendary building located in Hermannplatz, which dates back to the 1920s, will be knocked down and rebuilt by David Chipperfield. The palace can be found between Kreuzberg and Neukölln. In 1929 Karstadt wasn’t just a shopping center: it represented also a tourist attraction in the Weimar Republic. After the Second World War, the building was destroyed and later on built up. Today the facility belongs to an Austrian billionaire called Renè Benko. Now the billionaire wants to restore Karstadt’s builing and bring it to its former beauty. In the past, the Art Decò building stood on Hermannplatz, extending over 32 meters with 7 floors. The whole palace was made of limestone. Karstadt recalls New Yorkers’s store. During the 1940s the façade was destroyed. In the second half of the 20th century, the building has been refurbished. It didn’t, however, regain its glory. 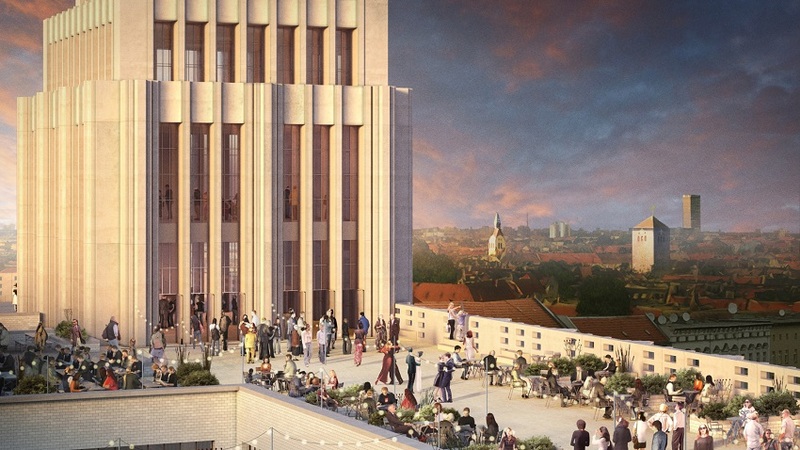 The British architect David Chipperfield will handle Karstadt reconstruction project. His aim is to give a modern interpretation of the building. As planned for the project, two columns will be reactivated. Furthermore, an observation deck will be added. Both in the first and second floor, a day care and a library are to be put up. The new structure will appear smaller than the older one even though gyms, offices and a covered market won’t be missing. On the top of the building, a restaurant and a hotel will be added. Construction works will last 3 years, starting from 2021. Photo: © Visualisierungen von der Vision des Projekts am Hermannplatz. Das Copyright der Renderings liegt bei David Chipperfield Architects.